The Frigidaire<sup></sup> Gallery 30-inch 4.6 cu. ft. slide-in convection range with SpaceWise<sup></sup> expandable elements offers flexibility to meet all your cooking needs. Gallery 4.6 cu. 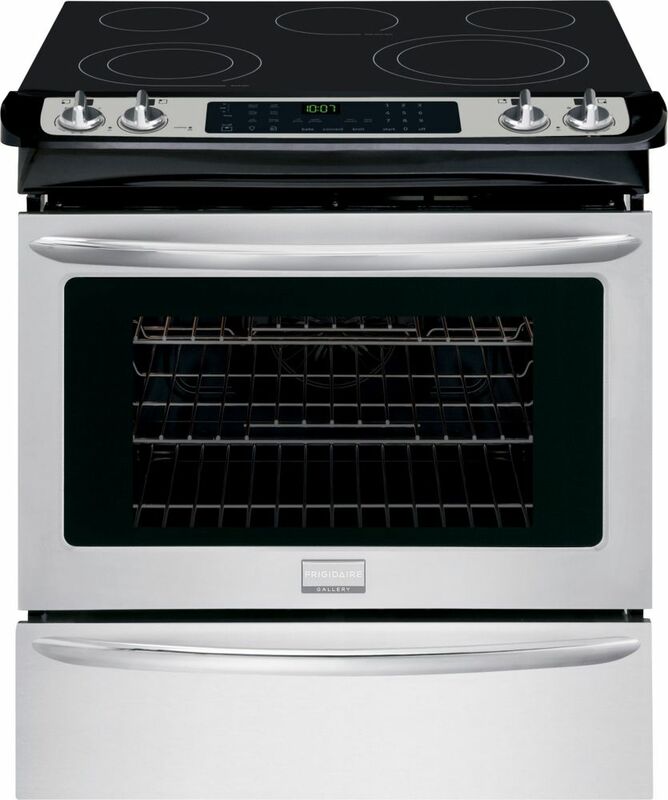 ft. Slide-In Electric Range with Self-Cleaning in Stainless Steel The Frigidaire<sup></sup> Gallery 30-inch 4.6 cu. ft. slide-in convection range with SpaceWise<sup></sup> expandable elements offers flexibility to meet all your cooking needs. Gallery 4.6 cu. ft. Slide-In Electric Range with Self-Cleaning in Stainless Steel is rated 1.0 out of 5 by 3. Rated 1 out of 5 by Andyshops from Outright shameful product I have this same range and agree completely with the previous bad review: poor design, unreliable, annoying sound. Fixing mine would cost almost as much as buying a new range... if I can even find someone qualified to do it. Also, I can't even get parts for most of my Frigidaire appliances. I can't understand with all this talk about our environment why these manufactures and sellers are permitted to continue to put such junk (most appliances these days) on the market only to create more landfills for our children to contend with. Rated 1 out of 5 by FREDS123 from built in obsolescence This unit has a cooling fan that works continually when the stove top or oven is on. This is annoying if you have an open concept house. The cooling fan continues long after you've turned off the stove. We lived with the noise because we didn't want the headache to exchange the unit. Now after only 5 years, the cooling fan started making a noise similar to grinding metal and simultaneously the oven stopped working. Repair, including the ordering of parts has taken 6 weeks. Appliances these days are made to look great but aren't built to last once the warranty is over. I'll never buy a Frigidaire again. I don't know if the other brands are any different.